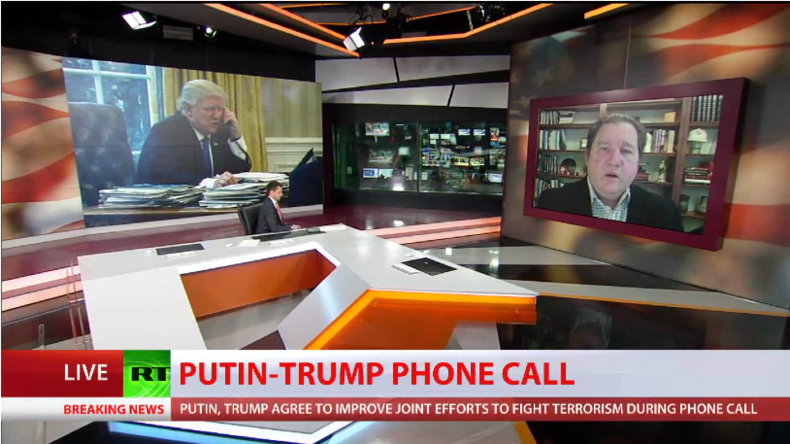 Donald Trump and Vladimir Putin’s first telephone conversation indicates a new chapter will be opened in US-Russia relations, as, by reaching out to Moscow, the US leader has shown he’s capable of overriding internal opposition, Daniel McAdams told RT. 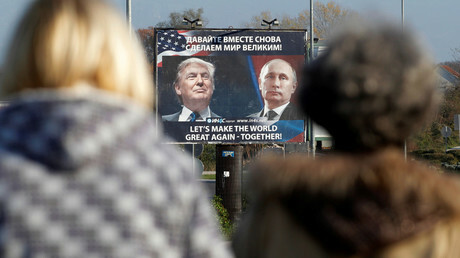 Trump “certainly deserves some credit for reaching out to President Putin,” as he has had to face tough opposition in the process, said McAdams, the Executive Director of the Ron Paul Institute for Peace and Prosperity. 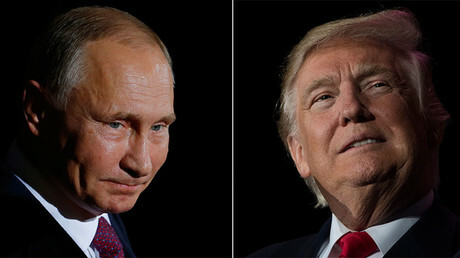 Although, the overall idea of the US’ involvement in Syria is highly questionable, Trump’s intention to coordinate the fight against terrorism with Russia there at least means, “apparently, the US is not going to be working against Russia, which would bring us closer to war,” he said. Ahead of the phone conversation with Putin, Trump said that it was “every early” to talk about lifting anti-Russia sanctions. In the analyst’s view, Trump, as a businessman himself, fully understands the harmful impact of sanctions on the US economy. In Saturday’s phone conversation, the two leaders “stressed the importance of rebuilding mutually beneficial trade and economic ties between the two countries’ business communities,” the Kremlin press service said. “Hopefully, this will start things off on the right foot,” McAdams said. 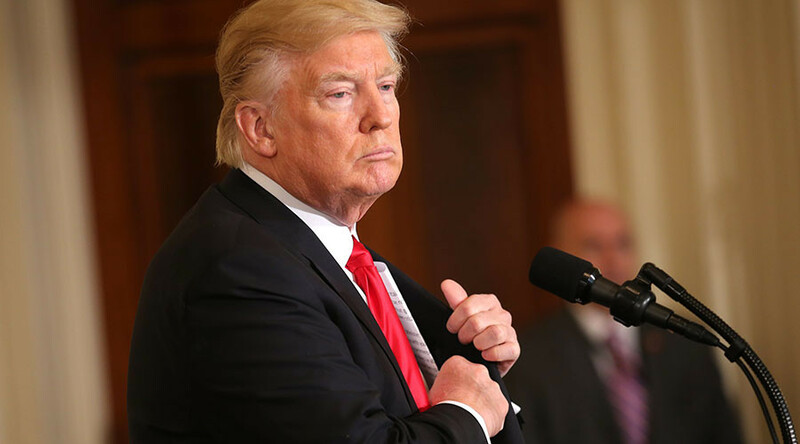 “It’s all going to be very positive,” he said, adding that the media should focus more on the positive effect of Trump’s actions instead of disproportionally covering protests. The telephone conversation is only a first step on the road to a comprehensive discussion that, in Vallely’s opinion, is likely to take place in the near future. “You have two strong leaders that want to make things happen in a positive matter. They are going to talk about economics, about Syria, probably ten other type of discussion items to further relationship,” Vallely said. Though it appears that the sanctions the US has imposed on Russia were omitted from the agenda of their first conversation, they are eventually going to come up and might be lifted, Vallely said, as he believes they are not in line with the strategy of mutual rapprochement. 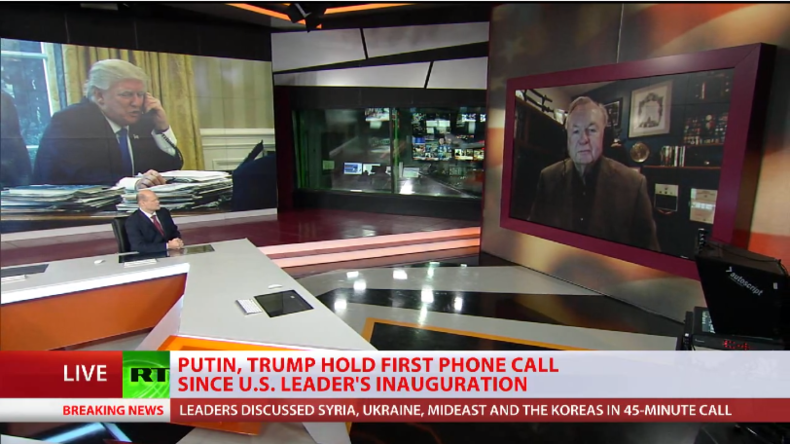 Despite the failed reset initiated by the Obama administration, which was already a distant memory by the end of his second term despite high initial expectations, Vallely believes that Trump is a leader who will follow through on his pledges. “Because you have a new leader in America, somebody who understands how to make a deal, how to negotiate,” Vallely said.